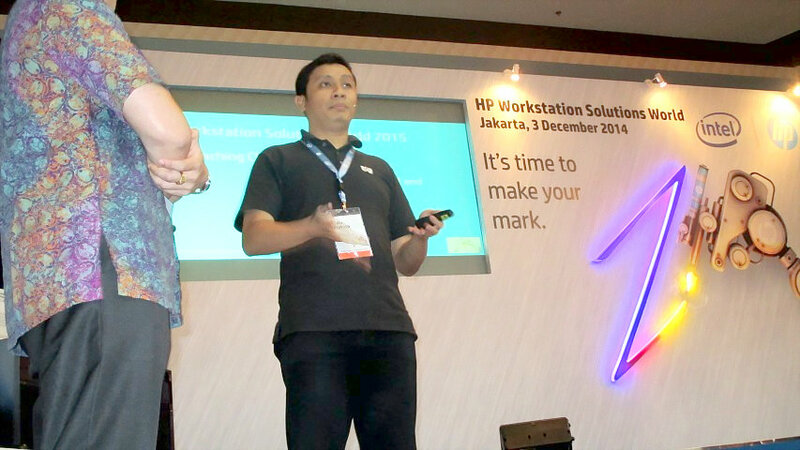 HP Workstation Solutions World 2015, Marked! 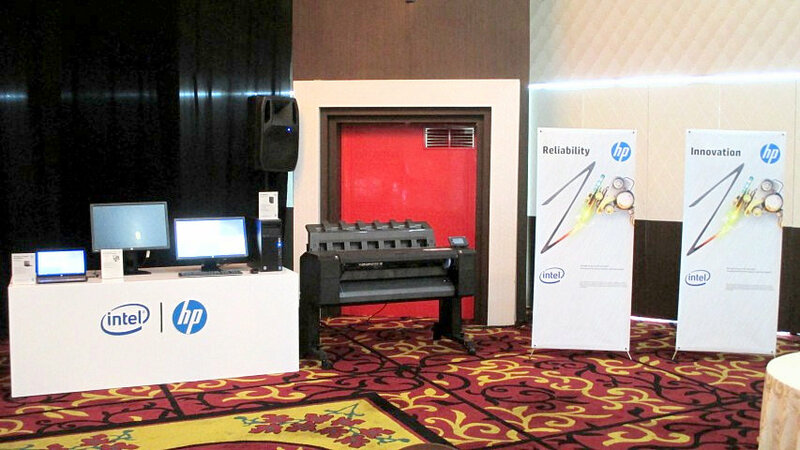 Jakarta, December 3, 2014 - Sovereign Plaza, was witnessing of the mark to the continuing success of Hewlett Packard in being the first place manufacturer, delivering the highest performance, most reliable and innovative workstation in the world to Indonesia market. HP Indonesia introduced their newest series of all Personal, Virtual and Mobile Workstation, powered by latest Intel Processors. 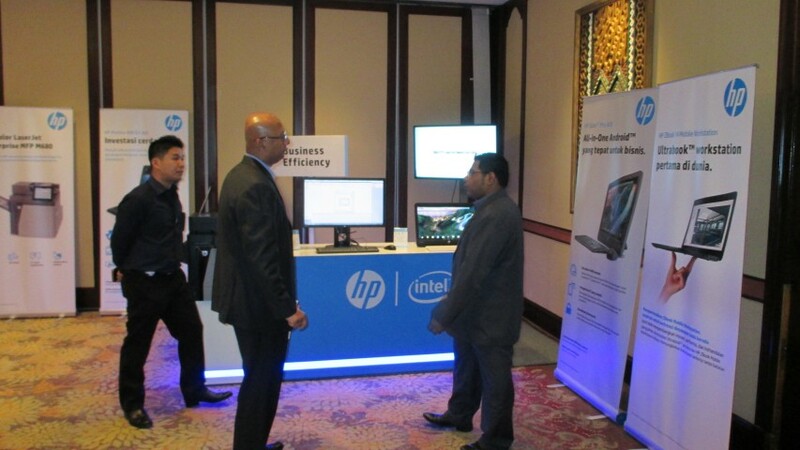 Furthermore, we were all fascinated as the event was fully attended by engineers, IT professionals, designers. 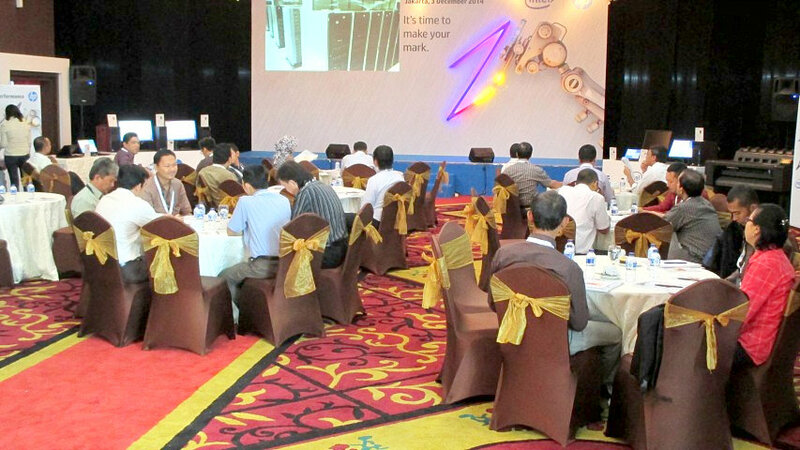 Even, the organizer needed to add more tables and chairs for those excited attendants. What a show! 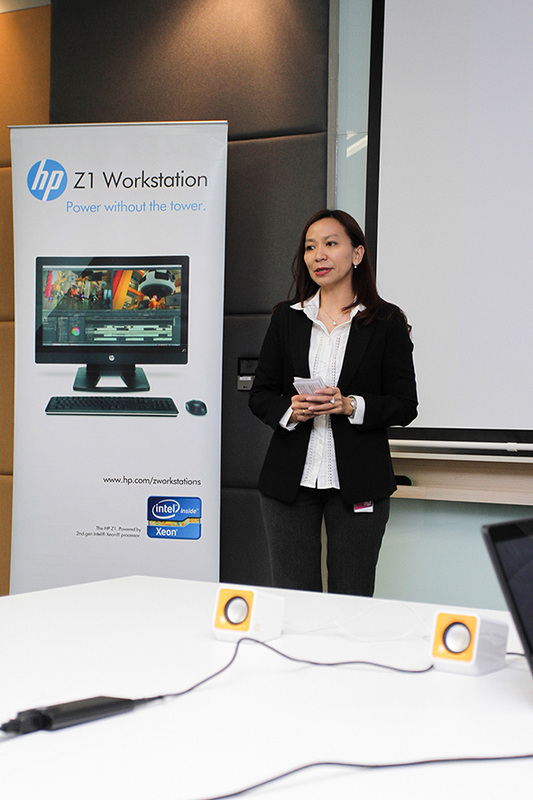 While the new HP Z440, Z640, Z840 and DL380Z introduction marked the momentum for customers to get the most out of the HP Personal and Rackmounted Workstation in order to achieve the next level of productivity, the new HP ZBook 15 G2 and ZBook 17 G2 marked a new height for power hunger Mobile Workstation. Bimo Adi Prakoso, Director of Sentra Grafika Kompumedia, was invited to share his knowledge and experience in the HP Workstation Coaching Clinics session, talking about several interesting topics such as HP WUGI (Workstation User Group Indonesia) as well as addressing the needs to properly select a certain HP Workstation model and graphics, etc. 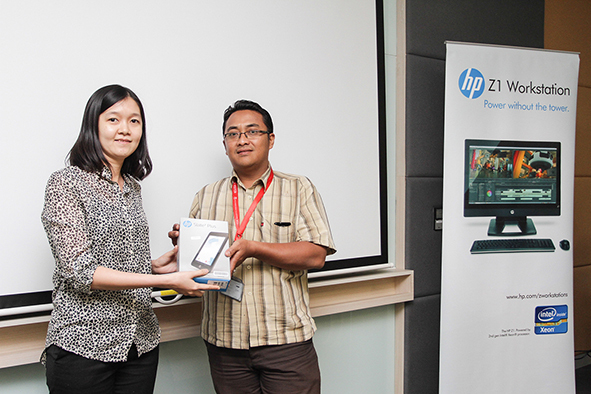 Also, congratulations to 10 early bird attendees which received useful gifts from HP, as well as the grand prize winner of HP Slate 21! Don't forget, the most powerful workstation for us all, is marked with Z! Notes: A short review of HP Z440 and HP ZBook 17 G2, can be found here. It's time to make your mark. 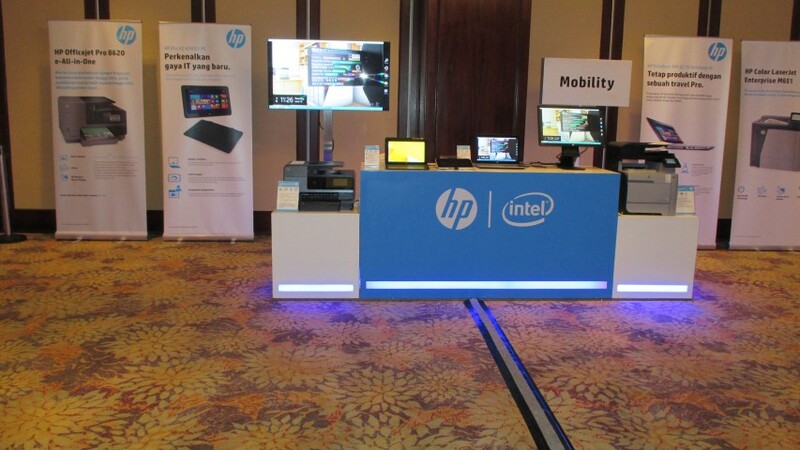 Wujudkan ide dan kreatifitas Anda dengan HP Z Workstations, ZBook Mobile Workstations dan Z Displays. 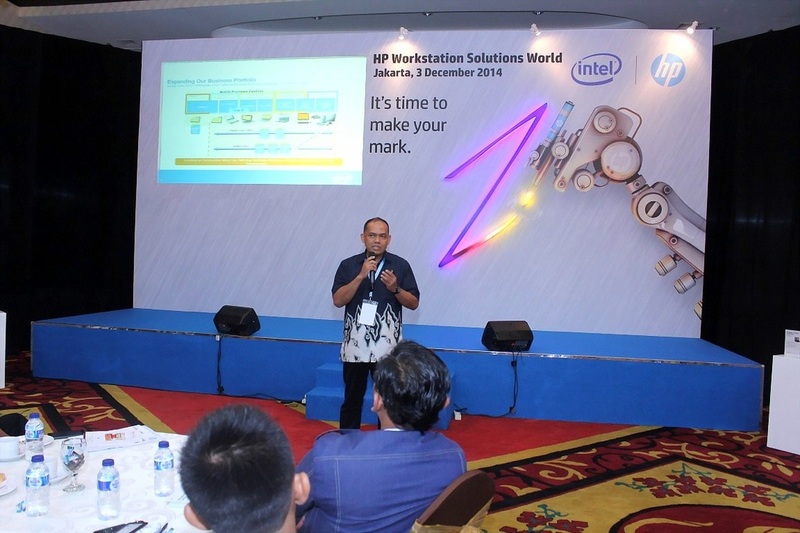 Hadirilah HP Workstation Solutions World 2015 dan saksikan kehadiran inovasi terbaru di dalam teknologi workstation. Dirancang khusus untuk bekerja dengan performa tinggi, workstation HP Z series dan mobile workstation beserta layar tampilannya menghadirkan kombinasi sempurna dari kekuatan, fleksibilitas, dan inovasi yang akan mengubah trend di industri. 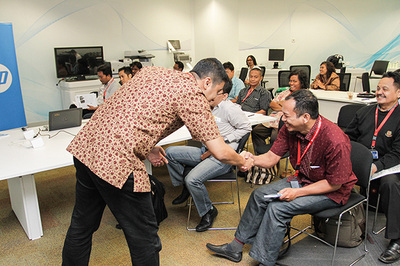 Sekarang waktunya untuk melakukan perubahan. 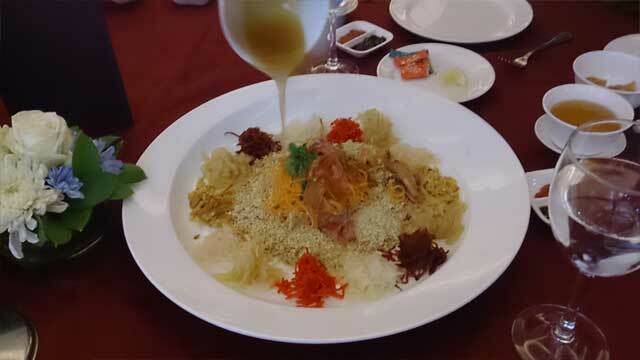 Acara ini akan berlangsung hanya setengah hari dan menyenangkan. 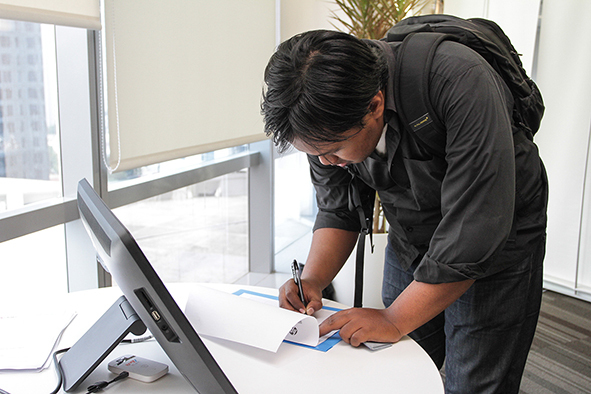 Daftar sekarang juga. Silahkan teruskan undangan ini kepada rekan yang membutuhkan dan akan berguna bagi mereka, dan informasikan kepada HP Representative kami. 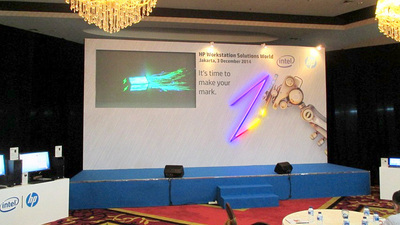 Powered by Intel® Core™processors. 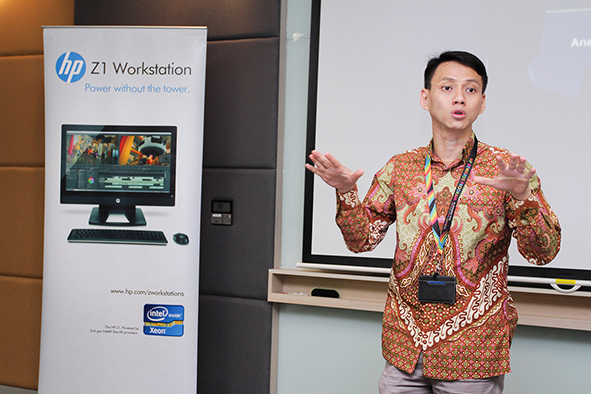 Amazing performance happens with Intel Inside®. 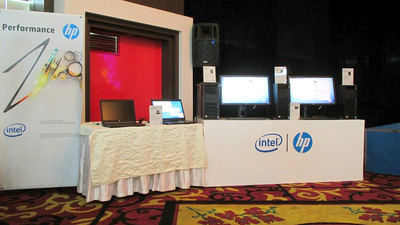 HP Workstation User Group Indonesia Premiere Gathering. 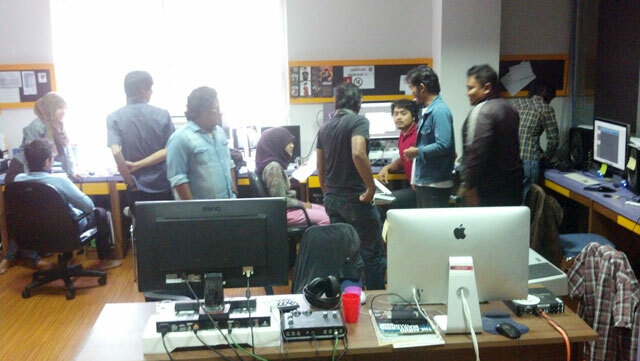 It's fun! Jakarta, November 5, 2014 - Finally, the fun was rocketing sky high on the HP Workstation User Group Indonesia Premiere Gathering on 5 November 2014. 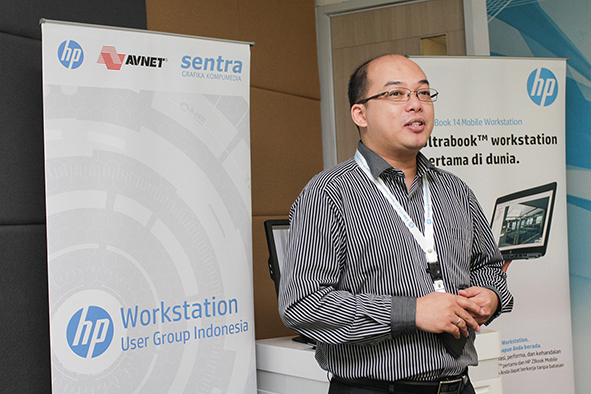 Biggest thanks to HP Indonesia and Avnet Datamation Solutions for their excellent support. 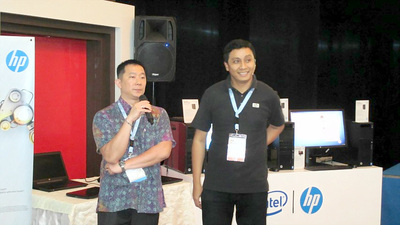 It was a great honor when Lim Choon Teck (Commercial Channel Director Personal Printing System, HP Indonesia) and Sanny Hadinata (Division Head Avnet Technology Solutions Indonesia) officially opened the event, followed by Bimo Adi Prakoso (Managing Director of Sentra Grafika Kompumedia). 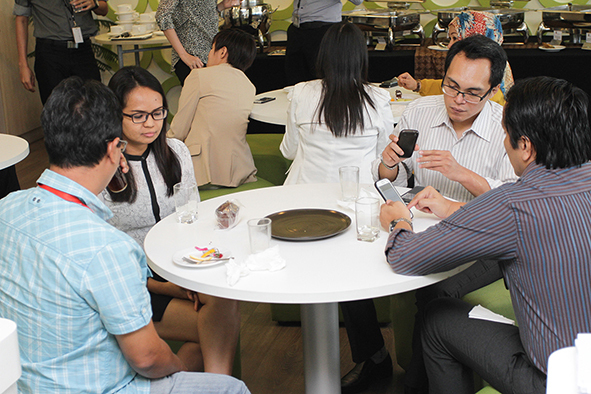 Many people came and had fun during the gathering. And many lucky draws were given away to lucky HP WUGI members. Congratulations to winners! Here we share some joys through some pictures, as we will meet again in the next HP WUGI gathering, soon! 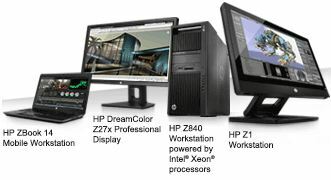 HP LP2480ZX DreamColor Display, At Its Lowest Price! 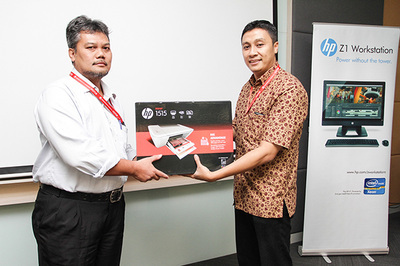 Jakarta, July 23, 2014 - Sentra Grafika Kompumedia, announces the groundbreaking promotional period of HP LP2480ZX DreamColor Display clearance sales. The HP LP2480ZX DreamColor Display, sporting 1 billion+ colors in truly accurate Rec.601, Rec.709 and Adobe sRGB color, sold at US$ 2,900 (Indonesian retail price), now has become very affordable at US$ 950 only, during clearance sales. 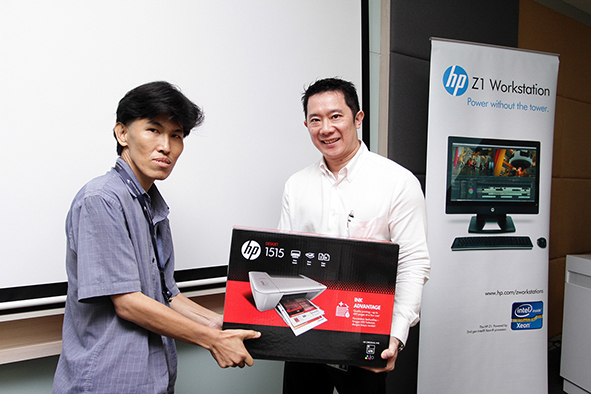 HP LP2480ZX can even replace the more expensive 2K video preview monitor for video/movie production. 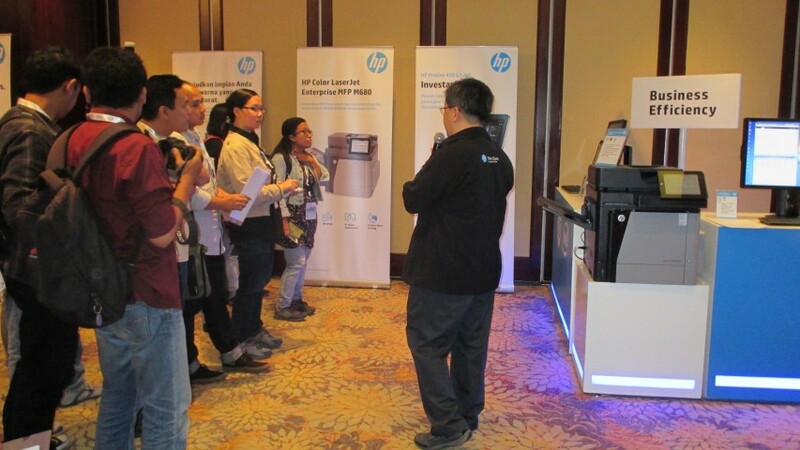 Videographers, photographers and even enthusiasts can benefit the features of HP LP2480ZX DreamColor Display while the stocks last. Contact us immediately to secure your unit. 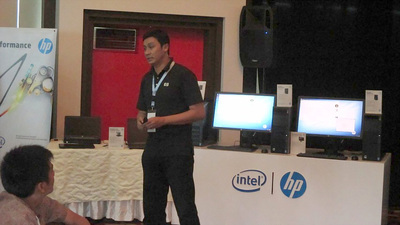 Bimo Adi Prakoso, Director of SGK, was invited in this prestigious event as one of the presenters, deeply explaining about requirements for mobility business efficiency, through 2 months intensive of using the new HP Pro x2 410 G1, and how it meets expectations for true mobile business device. 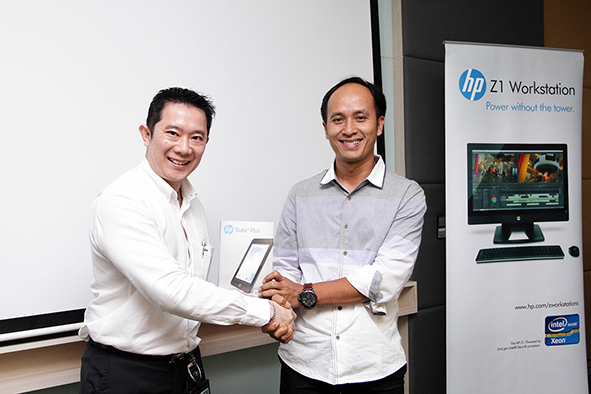 As we all know, HP Pro x2 410 G1 is HP's latest hybrid that gives 100% notebook experience and 100% Windows tablet experience. 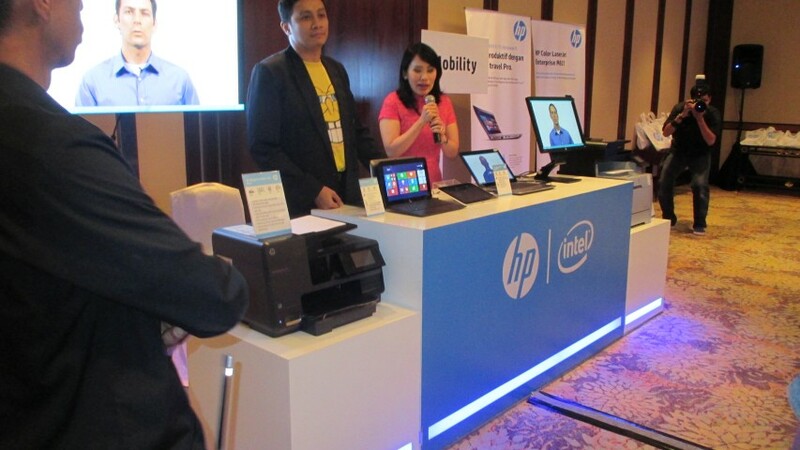 Bimo also explained in highly details on HP Pro x2 key points over the competing products. 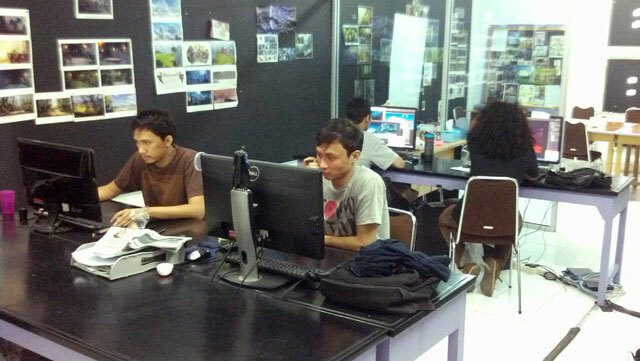 Press Release: MSV Pictures Goes With Hollywood Movie Makers’ Choice, PIXAR’s RenderMan. 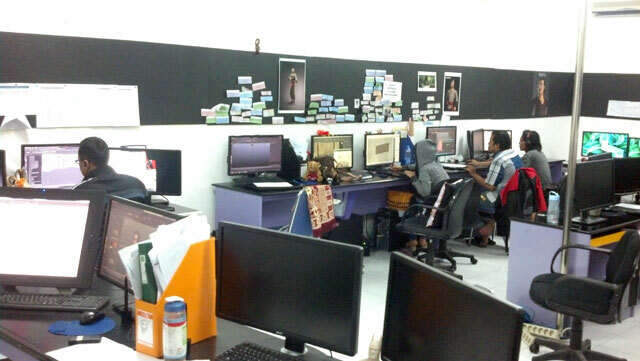 Yogyakarta, April 25, 2014 - MSV Pictures, an award winning Indonesian based animation studio, today announced its complete and advanced production facility, including PIXAR’s RenderMan. 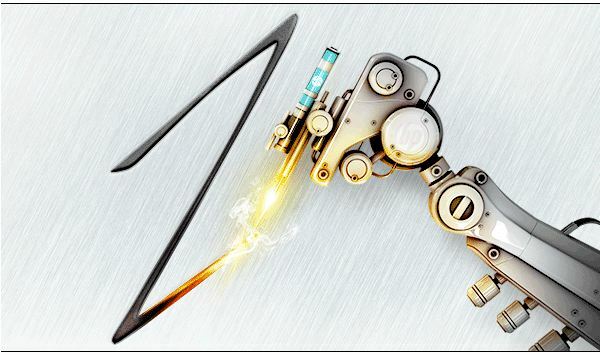 Through intensive research and development in order to define the core of rendering engine that MSV Pictures would have forward, they found that PIXAR’s RenderMan is the easiest, most flexible, versatile and fastest rendering engine in delivering any kind of images from their ideas. With the close relationship between Prof. Suyanto of MSV Pictures and Bimo Adi Prakoso of Sentra Grafika Kompumedia, the final decision to go with RenderMan was taken smoothly. 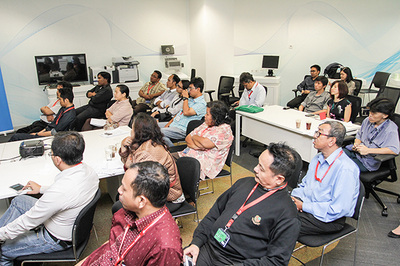 Mataram Surya Visi (MSV Pictures) was established in June 19, 1993. It was started as a subsidiary of STMIK AMIKOM, Yogyakarta. 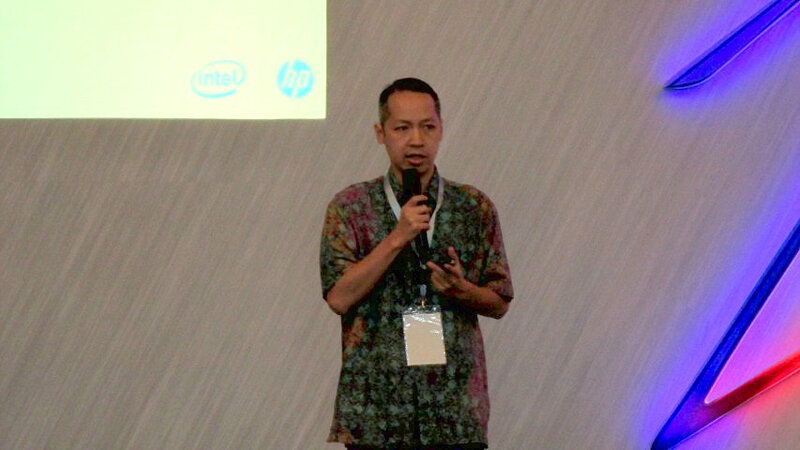 MSV Pictures had won some prestigious awards such as Asia’s Best Top 10 International Urbanimation, Digital Animation INAICTA 2009 Merit Winner, MNCTV’s Top 10 Animafest Nominee, Appreciation Film of Indonesia 2012 Nominee, Indigo Fellowship Award 2012 Winner and People’s Choice International Movie Trailer Festival 2013 Winner. MSV Pictures is working to complete some features with well known Director from New Zealand, Tristan Strange of New Zealand, and American screenwriter, Robert Palowski. Pixar Animation Studios, a wholly owned subsidiary of The Walt Disney Company, is an Academy Award®-winning film studio with world-renowned technical, creative and production capabilities in the art of computer animation. Creator of some of the most successful and beloved animated films of all time, including "Toy Story," "Monsters, Inc.," “Cars,” "The Incredibles," "Ratatouille," "WALL•E," "Up," "Toy Story 3” and “Brave,” the Northern California studio has won 30 Academy Awards® and its films have grossed more than $8.3 billion at the worldwide box office to date. “Monsters University,” Pixar’s fourteenth feature, is now available on all home entertainment platforms. Sentra Grafika Kompumedia PT (SGK) is Indonesia’s leading graphics technology solution provider for engineering and multimedia market, based on the general and unique needs of most customers. With the head of office in Jakarta, SGK has widely established partnerships with many channel partners from many major cities in Indonesia. 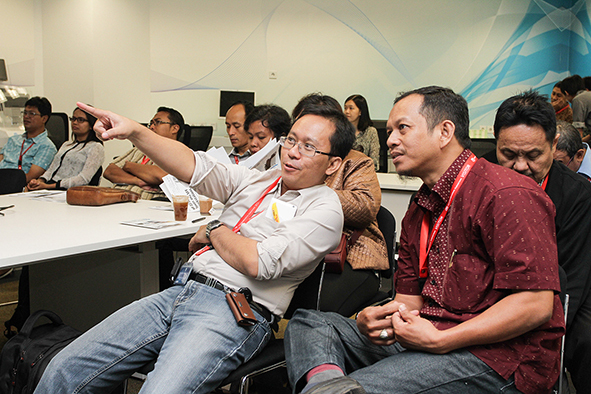 Through strategic partnership with leading international principals, SGK ensures to offer affordable, scalable, cost effective and proven solutions available in the market to the needs required by most customers. 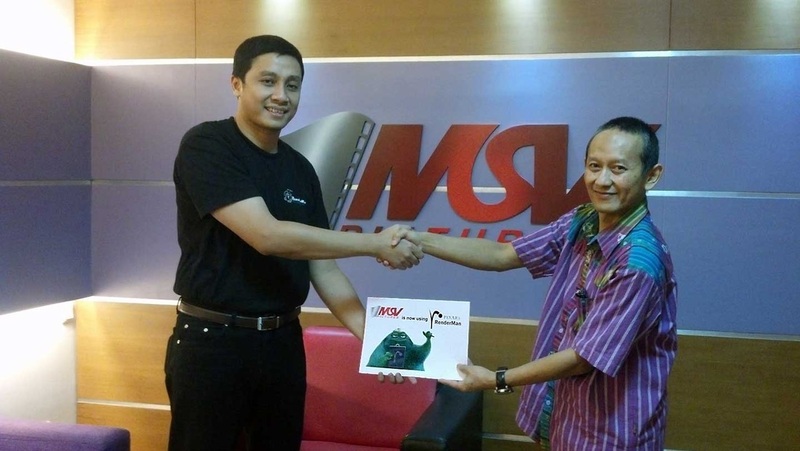 Prof. Suyanto of MSV Pictures (Right) and Bimo Adi Prakoso of Sentra Grafika Kompumedia (Left) after signing the agreement. 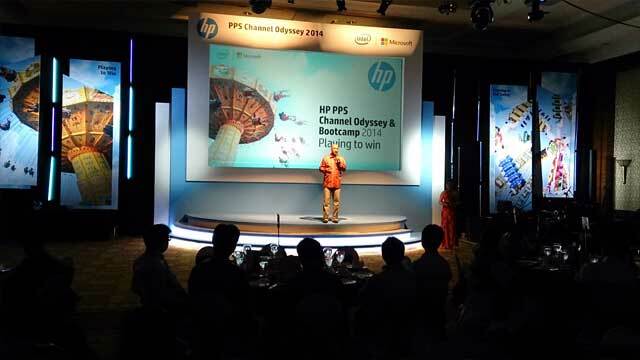 HP Channel Odyssey 2014: Play to Win! Jakarta, January 6, 2014 - Welcoming the Chinese New Year, the Year of the Horse, HP extended their appreciation to their Channel Partners by celebrating it together in HP Channel Odyssey and Bootcamp 2014, in JW Marriott Hotel, Jakarta. 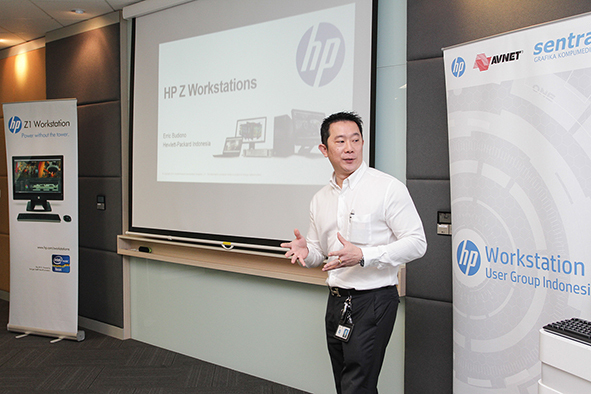 Vertical solutions were presented to the Channel Partners in order to extend the awareness of a complete HP Experience, ranging from Education, Manufacturing, Health Care etc. 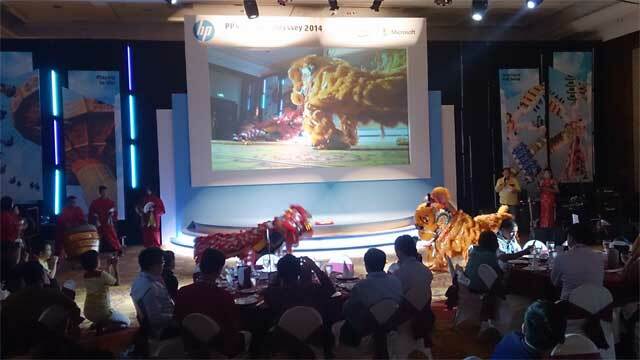 To honor all the attendees, in the evening, HP closed this outstanding event with a lovely Gala Dinner along with traditional Chinese Lion dance performance. This year, while enjoying delivering exceptional computing solutions ranging from personal needs to enterprise requirements, HP and its partners are successfully having fun. 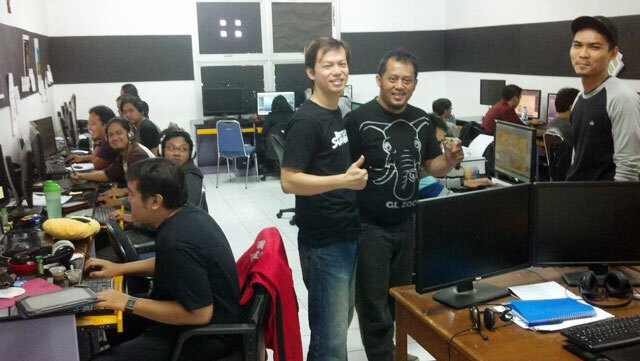 PLAY TO WIN! 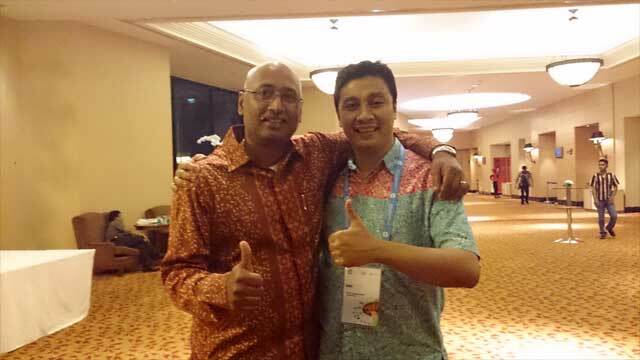 Subin Joseph and Bimo Adi Prakoso: HP Rocks! 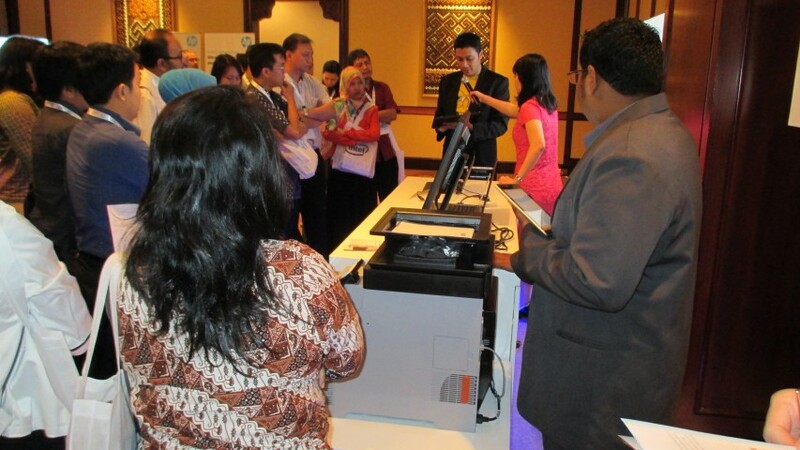 Free Professional CAD Applications Go to Newer Versions. 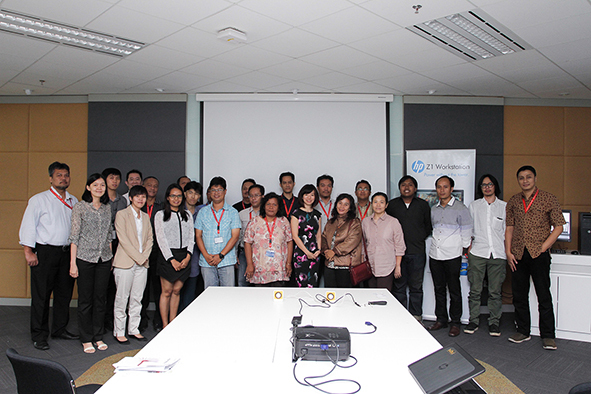 Jakarta, January 30, 2014 - Free Professional 2D CAD applications had reached new versions. 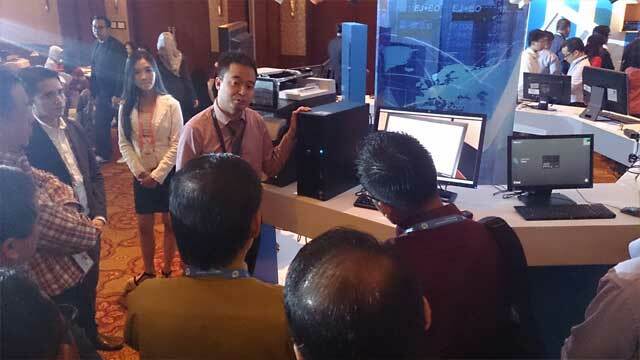 Dassault Systemes has delivered DraftSight V1R5.0 with lots of improvements and features, available for most Operating Systems (Windows, MAC, Linux) while IMSI Design released DoubleCAD XT v5. 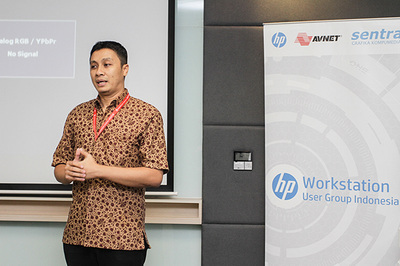 The 2 Professional Free CAD Applications can immediately substitute popular 2D CAD drafting application, using DWG instantly as both of them are compatible with the file format and distribution methods. Simply click the following icons to go to each website. Why wait? Simply click and download them immediately. Again, both applications are FREE!